January 31, 2018 - The deputies of the Economic Committee of the Chamber of Deputies should discuss at their first meeting how to build and pay new nuclear blocks in the Czech Republic. According to Calla and Friends of the Earth Czech Republic (Hnutí DUHA), the question is fundamentally different: how can we cover our energy needs in 20 years without expensive and risky atomic reactors? A bet that restricts new sources only to the expansion of Dukovany or Temelin NPPs is risky due to enormous financial pressure and geopolitical risks. Why is that so? More in a press release. October 11, 2017 - The actual consequence of the governmental approval of the material called the "Report on the necessity of securing the economic interests of the state in the field of using the most strategic raw materials in the EU and some other raw materials" would be the preservation of the domestic uranium industry, with significant state support. The state enterprise DIAMO has prepared the report for the Ministry of Industry and Trade, and in particular for its own sake, without prior consultation with the competent Ministry of the Environment. Although the title of the material gives the impression that it deals primarily with a topic of lithium, so very much discussed by politicians, the reality is that we are supposed to return to the raw materials of the last century instead of the 21st century. More in a press release. October 10, 2017 - Calla has decided to file a lawsuit in order to get access to a major technical and economic study on the realization of the research program of the Bukov Underground Research Laboratory (Bukov URL) in the former uranium mines in the Vysočina Region, which should prove the suitability of the site for research activities connected to a deep geological repository. In violation of the Act on Free Access to Information, the Radioactive Waste Repository Authority (RAWRA) refused to provide the study and the opponent's reports and its decision on the appeal was confirmed by the Director of RAWRA. More in a press release. September 22, 2017 - Under 25 years, brown coal consumption is set to decrease by 73%. The State Energy Policy of the Czech Republic, which is the main strategic document that was prepared by the Ministry of Industry and approved by the government, presupposes this. At the same time, however, Minister Jan Mládek and then Minister Jiří Havlíček insisted that the new nuclear reactors will ensure our energy needs. Environmental organizations warn about the extreme risk of betting on one unbearably expensive and hazardous horse. More in a press release published on the occasion of the Prime Minister's and the Minister of Industry and Trade's meeting. September 19, 2017 - The Alliance for Energy Self-Sufficiency, Calla and the Prague office of the Heinrich-Böll-Stiftung, presented a new publication by Emeritus Professor Stephen Thomas "Weaknesses of candidates for reactor construction in the Czech Republic: delays, cost overrun, cancellation of projects", which brings a unique insight into the state of the currently-deployed nuclear power plants in the world. The publication focuses primarily on technologies that may be considered for the planned construction of new nuclear reactors in the Czech Republic. See a complete press release. August 22, 2017 - The governmental task to accede to the Supplementary Protocol to the Vienna Convention on Civil Liability for Nuclear Damage from January 1, 2017 remains unfulfilled. CEZ has limited liability for nuclear damages in Dukovany or Temelin NPPs only up to CZK 8 billion. More in a press release. August 10, 2017 - Radioactive Waste Repository Authority (RAWRA) has strengthened doubts as to whether hundreds of millions of Czech crowns, which will vanish into the Underground Research Laboratory (URL) Bukov (situated in the former uranium mine site) in the future, are efficiently spent resources. RAWRA has decided to conceal the fundamental technical and economic study of the implementation of the research program at URL Bukov, which was to prove the suitability of the site for research activities related to a deep geological repository (DGR). More in a press release. June 14, 2017 - The European Commission has now given the Czech Republic and the other four countries two months to submit a national programme on radioactive waste and spent nuclear fuel management. The approved national programme was to be actually submitted by individual countries by 23rd August 2015. However, so far a process of strategic environmental assessment (SEA) is still ongoing in the Czech Republic. The reasons for the delay should be sought at the level of Ministry of Industry and Trade – even though the national programme was written in 2013, the government took note of it only at the end of 2014 and an evaluation of the national programme was published only in May 2017. More in a press release. June 29, 2017 - Radioactive Waste Repository Authority (RAWRA/SÚRAO), which is in charge of the siting process for a deep geological repository for high-level waste, has decided to continue the tradition of denying its previously promised promises and statements. RAWRA announced to the mayors that it commissioned a tender for geological survey in all sites. That is, the geological survey for which exploration permits for geological work were approved for the years 2015-2016. However, because RAWRA has failed to conduct the geological survey, it has now begun to claim that geological survey ("průzkum") are no longer considered, but only geological research ("výzkum") which does not require any exploration permits. More in a press release. June 28, 2017 - These days, the Strategic Environmental Assessment process for the Government's National Programme on Radioactive Waste and Spent Nuclear Fuel Management is culminating. The Association of Environmental Organizations called Green Circle and Calla - Association for Preservation of the Environment have been criticizing the national programme for a long time. Therefore, the Ministry of Industry and Trade (MPO) refuses to prepare and evaluate other possible alternatives to the final deep geological repository for hazardous radioactive waste management. It ignores not only the views of the affected municipalities and the public, but also the conclusions of the Ministry of the Environment (MŽP) which is in charge of the assessment procedure. More in a press release. June 15, 2017 - Another meeting of the Permanent Nuclear Energy Committee (SVJ) was held in a village of Dukovany. Although it deals with the preparation of investments in new nuclear reactors which is worth hundreds of billions of Czech crowns and has an impact on the public budgets and people's financial situation, its approach is accompanied by unusual lack of transparency. Since 2017, no meeting minutes have been processed, instead of them there are only summary conclusions - press releases intended for the public. More in a press release. June 14, 2017 - "National Programme on Radioactive Waste Management: the State has thrown away its opportunity to open public debate" - this is how the Platform Against Deep Repository described the ongoing process of Strategic Environmental Assessment (SEA) of the new Governmental National Programme on Radioactive Waste and Spent Nuclear Fuel Management. The public can attend the public hearing in Prague on June 28 and can send the comments on the national programme by July 3 using this online form. See more on the Platform's standpoint in its press release. June 7, 2017 - This time the Assembly of the members of the Platform Against Deep Repository took place in Chanovice which is in another of the sites threatened by the deep geological repository project, called the Březový potok by the Repository Authority (RAWRA). Since the October meeting in Božejovice, the group has strengthened its membership to 34 (22 municipalities and 12 associations from all seven original sites). More in the press release. April 28, 2017 - The uranium mining in the Czech Republic has finally ended when the last minecart with pitchblende (or uraninite) was exported from the Rožná I uranium mine. The extraction and processing of uranium ore has caused great damage, the Czech Republic has been forced to spend more than 40 billion Czech crowns on remediation since 1989 and another CZK 60 billion will still be needed. The plans of the Ministry of Industry for the future mining of other uranium deposits, as mentioned in the Czech Raw Materials Policy, should be abandoned for good simply for these reasons. More in the press release. January 25, 2017 - People may publicly comment (in the SEA process) on the new Raw Mineral Policy of the Czech Republic, which was prepared by the Ministry of Industry and Trade (MPO). MPO intends to substantially transform the post-November 1989 course in the gradual phasing out of problematic uranium mining and open the door to new mining of additional uranium deposits, primarily in Brzkov. More in the press release. An online form with a template comment is here. January 18, 2017 - On January 16, Government did not approved the legislative intent of the draft Act to strengthen the rights of municipalities in the siting process for a deep geological repository. By postponing the discussion until half of 2018, it has left the problem to the next government. The decision of the government's cabinet is the fiasco after several years of work of government offices headed by Minister Mládek. More in the press release. January 4, 2017 - On December 31, 2016, validity of established exploration areas for siting process for a deep geological repository in seven sites expired and the state Radioactive Waste Repository Authority (RAWRA) should thus finish all its geological surveys. Although a new procedure for the extension of expired validity for two years was launched in the last days of 2016, the decision on it will be taken in several weeks, or rather months because of municipalities' disagreement. More in the press release. January 3, 2017 - Industry Minister Jan Mládek claimed in March 2016 that he cancelled the uneconomic plan to transfer uranium mining from Dolní Rožínka to Brzkov. As was confirmed by the Ministry of Industry and Trade (MPO) now, it is not true, and an approval process to allow the state to extract this small uranium deposit in the Bohemian-Moravian Highlands still continues [in Annex]. Residents and representatives of municipalities of Brzkov, Věžnice, Přibyslav and Polná, who would be the hardest hit by possible extraction and transport of uranium ore and who do strongly disagree with this intention, expect a challenging year in which they will have to defend their public interest in maintaining a healthy environment for living. More in the press release. December 19, 2016 - On Dec 19 the Government was to agree to provide 313 million CZK (259 million without VAT) from the nuclear account for state enterprise DIAMO without any public tender to ensure the operation of the Underground Research Laboratory (URL) Bukov until 2019 Radioactive Waste Repository Authority (RAWRA) commissioned the URL Bukov to be build in finishing underground uranium mines in Dolní Rožínka, where URL Bukov ought to serve for geological works associated with the siting process for a deep geological repository for spent nuclear fuel. However, until this day there have not been developed and presented the results of technical-economic study of the suitability of this site for research program for a deep repository in URL Bukov, and there are other strange circumstances. More in the press release. December 13, 2016 - Platform Against Deep Rrepository which brings together 17 municipalities and 11 associations, including Calla, that are influenced by the siting process for a deep repository for spent nuclear fuel, has expressed deep concern that the state changes its procedure again. On Dec 13, Radioactive Waste Repository Authority (RAWRA) announced to the mayors of the municipalities in seven potential sites for the siting of deep geological repository for spent nuclear fuel that it has asked the Ministry of the Environment for an extension of the period of validity for established exploration areas at seven sites for another two years. More in the press release. December 8, 2016 - Following municipalities and associations from several sites, two representatives of the association of environmental organizations - Green Circle - have also left the governmental Working Group for Dialogue on Geological Disposal for radioactive waste. The reason is that the responsible state authorities violate the agreed rules and ignore the proposals of the Working Group. Additionally, the Green Circle sent a letter of formal notice urging the Minister of Industry and Trade Jan Mládek to initiate honest dialogue about finding solutions to the problem of nuclear waste. More details in the press release. October 5, 2016 - Municipalities and Non-Governmental Organizations, effected by the siting process for a Geological Disposal Facility (GDF) for spent nuclear fuel and other high-level waste and dissatisfied with the procedure of the accountable state institutions, have founded the "Platform Against Geological Disposal" as their nonprofit organization on a voluntary basis. Calla became a member. More information in the press release and on www.platformaprotiulozisti.cz. September 21, 2016 - Calla gave a lecture on Czech uranium industry at Berlin's "Das Festival zur Zukunft der Umwelt" on September 10, 2016. The event was held to celebrate the 30-year anniversary of the German Federal Ministry for the Environment, Nature Conservation, Building and Nuclear Safety. The presentation in English can be accessed here. July 23, 2016 - The State's Radioactive Waste Repository Authority (RAWRA) began to investigate other sites for a Geological Disposal Facility (GDF) for spent nuclear fuel - to the south of the Temelín nuclear power plant (ETE) and the west of the Dukovany nuclear power plant (EDU). The main reason for seeking new sites - that were previously not preferred by geologists - is to gain a "greater understanding for the construction of future GDF" due to the existence of nuclear power plants in their area You will learn why in our press release. July 17, 2016 - Minister of Industry and Trade Mládek performed a grand somersault in the siting process for a Geological Disposal Facility (GDF) for spent fuel when he announced that further process in five sites will be stopped. The siting process should continue only in the sites of Horka near Budišov in the Třebíč District and Kraví hora near Rožná in the Žďár nad Sázavou District, where he "feels the political will" for a GDF. However, freezing geological surveys should apply to all sites. You will learn why in our press release. June 28, 2016- Transparency in negotiations declared by Radioactive Waste Repository Authority (RAWRA) has suffered another blow. After RAWRA Director Jiří Slovák failed with a previous decision in court, he repeatedly provided requested information to Calla only with blackened key parts. Specifically, it concerns the RAWRA Council's meeting minutes from 2011-2012 and the Report 2010 on financial reserves for decommissioning nuclear facilities (see attached samples of the provided documents). Calla has therefore decided to nominate RAWRA for this year's competition called "Open x Closed" in a category "Closed". More in press release. June 23, 2016 - Working Group (WG) for Dialogue on Geological Disposal Facility (GDF) for spent nuclear fuel has been left by representatives from the sites of Hrádek near Jihlava and Březový potok close to Pilsen. These are two out of the seven sites where the state is looking for a GDF for disposal of high-level radioactive waste. In addition, the Radioactive Waste Repository Authority (RAWRA/SÚRAO) intends to begin with geological surveys this year, despite the disapproving opinion of the population in municipalities threatened by the construction of the GDF. The siting process for a GDF in this form requires a change. 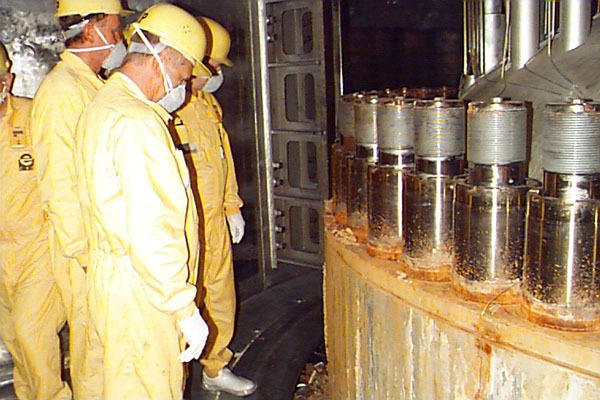 First there is a need to set up rules well and then to look for solutions what to do with nuclear waste. More in press release. May 15, 2016 - On the basis of our appeal, the Prague Municipal Court annulled the decision of the Director of Radioactive Waste Repository Authority (RAWRA/SÚRAO) which restricted the disclosure of certain requested documents under The Right to Information Act in 2012. Specifically, the minutes of the meetings of the RAWRA Board and the Report on monitoring the creation of reserves for the decommissioning of nuclear facilities in 2011, respectively 2012, that were made available to Calla in censored form only. To find out what will happen next, please read the press release. April 10, 2016 - On April 5, Prague hosted an international Nuclear Energy Conference NEC 2016 "Nuclear Energy - Expensive Gamble" which was organized by Calla, Friends of the Earth Czech Republic and South Bohemian Mothers. It attracted attention of participants from eleven countries. This year's event was dedicated to the issue of nuclear safety. The conference program, presentations, photos and audio in three languages can be found at www.nec2016.eu. Press release dated April 5 is here. April 8, 2016 - On Saturday 23rd April 2016, there will be held marches, marathon, concerts and other events to mark the joint protest in all seven sites in the Czech Republic which were chosen by the Radioactive Waste Repository Authority (RAWRA/SÚRAO) because of the siting process for a geological disposal facility. Mayors and inhabitants of the affected villages wish to draw attention to their fundamental disagreement with the possibility that highly dangerous radioactive waste lasting thousands of generations will end up under their homes. Details of individual events are on www.nechcemeuloziste.cz. Here is a press release. April 5, 2016 - The purpose of the international Nuclear Energy Conference 2016 "Nuclear Energy - Expensive Gamble" is to discuss, in the presence of international and Czech experts, the economic aspects of nuclear power industry which are related to safety. NEC 2016 was organized by Calla, Hnutí DUHA and the South Bohemian Mothers. It takes place in the Smetana Hall of the Autoklub ČR in Prague on Tuesday, April 5, from 10am to 4pm. The conference programme, information about speakers and registration form are available at www.nec2016.eu. The invitation is here. March 23, 2016 - The project "For Stronger Voice of Residents of the Highlands in Search of a High-level Radioactive Waste Repository", which has been managed by Calla - Association for Preservation of the Environment since September 2014, has finished. It is great that people began to even more explore the ways in which they can act to influence the future of their communities. The cooperation of people in the sites selected by the state gives a hope that they will manage to push through conceptual changes in legislation and in the practice of the responsible institutions. More in a press release. February 4, 2016 - Calla in cooperation with local associations and some local municipalities organizes a screening tour of the Swiss film "The Journey to the Safest Place on Earth" for communities in the Highlands under which a high-risk spent nuclear fuel could end up according to the Radioactive Waste Repository Authority (RAWRA). The tour will take place at: the Restaurant "U kostela" in Rudíkov on Thursday, February 4 at 6PM, the Cinema in Dolní Cerekev on Friday, February 19 at 6PM, the House of Culture in Bystřice nad Pernštejnem on Wednesday, February 24 at 6PM and the Fire Brigade House in Hojkov on Thursday, February 25 at 5:30PM. More in press release. January 18, 2016 - Parliament began discussing the draft of the updated Atomic Act. Calla prepared its comments with proposals to address drawbacks. The main limitations are inadequate opportunities for the public in the permitting process for geological disposal facility (GDF) and a limited degree of operators' liability for any nuclear damage. Download the fact sheet here (in Czech). January 8, 2016 - Radioactive Waste Repository Authority (SÚRAO) introduced the Underground Research Facility (PVP) Bukov, whose first part was newly built in the vicinity of closing uranium mine in Dolní Rožínka. PVP Bukov should serve to SÚRAO for the research associated with the selection of the site for a geological disposal facility (GDF) for spent fuel. The Ministry of Industry suggests that PVP Bukov should be considerably extended. Costs of public funds for the construction, operation and research should reach nearly 1,8 billion Czech crowns by 2030. However, the project raises doubts in terms of the economy, real merit of the plan and compliance with the law. More in a press release. December 17, 2015 - The Calendar for SÚRAO: Our Secure Future Without Geological Disposal Facility. The Radioactive Waste Repository Authority (SÚRAO) gets an unusual Christmas gift in the form of a 2016 calendar. It was dedicated to it by representatives of municipalities and associations from all seven sites, which have been identified by SÚRAO as potentially suitable for the construction of a permanent geological disposal facility for spent fuel. Every month, the images in the calendar will remind SÚRAO of that people oppose the state procedure for the reasons listed in a press release. December 15, 2015 - The new Draft Raw Material Policy of the Czech Republic, prepared by the Ministry of Industry and Trade, intends to significantly change the direction which was set after the Velvet Revolution in 1989 to gradually phase out problematic uranium mining. It considers desirable starting preparations to open a new mine for the extraction of insubstantial uranium reserves from the Brzkov-Horní Věžnice deposit. Mayors, the residents of the affected communities and environmental associations fundamentally oppose the preparation of mining in this area. More in a press release. December 5, 2015 - The Czech government decided that the Czech Republic will join, as an intervener, two legal actions brought by the state of Austria and the German company Greenpeace Energy eG against the European Commission. The cause of action is the decision from October last year, by which the then leaving commissioners enabled the UK and enterprise EDF to build two blocks of the nuclear power plant Hinkley Point C with the help of guaranteed electricity prices. Plaintiffs do not consider this decision compatible with EU law because it unreasonably interferes with the set of rules of the free market. However, Czech government wants to actively defend the possibility to grant similar public monetary assistance to the investor in nuclear power plants because: "such action is not ruled out in the future" in domestic conditions. More in a press release. November 23, 2015 - Long-term storage, local geological disposal facility (GDF), the international GDF or perhaps spent fuel (SF) reprocessing abroad? There is no perfect and smooth solution for storage of thousands of tonnes of SF from the Dukovany and Temelín NPPs, which remain dangerous for hundreds of thousands of years. However, the choice should be properly justified, discussed and a consensus in society should be achieved. A public SEA procedure on the "Updated Concept of Radioactive Waste and Spent Fuel Management" that has just been launched is giving us this opportunity. More in a press release. November 9, 2015 - Seminar "Diagnosis: Uranium Dreams and Nightmares" was held at Barevná kavárna in Prague on November 4. It was organized by Centre for Transport and Energy (CDE) and Calla. It was dedicated to the health problems of workers and residents in the vicinity of uranium mines in Namibia and the Czech Republic, especially in the Liberec region, where the reclamation of land after mining costs tens of billions of Czech crowns. The problematic plans for new uranium mining in the Czech Republic were also analysed. Presentations in Czech by Josef Jadrný (Deputy Governor of Liberec Regional Authority), Miroslav Šuta (the health consultant at Centre for Environment and Health (CŽPZ) and Edvard Sequens (the energy consultant at Calla) and photographs from the seminar are here. Presentation on Namibia in English by Bertschen Kohrs (Chairman of EarthLife) can be found here. October 4, 2015 - The Journey to the Safest Place on Earth is the movie by Edgar Hagen, and deals with the issue of spent fuel (SF) from nuclear reactors. There are approximately 350,000 tons of SF in the world and each year more than 10,000 tonnes are being produced. It's the most dangerous waste that has ever been produced, and for the next hundred thousand years it must be securely stored and isolate it from the environment and humankind. Can a final geological disposal facility be constructed against the will of local residents? What role does a financial factor play in determining the site? Is a final repository safe option or is there only a temporary solution? The movie with Czech subtitles is looking for answers to these kind of questions. Terms and conditions for film screening & the movie info are here. July 29, 2015 - Municipalities and associations are suing the Minister of the Environment Brabec for giving permission to conduct geological surveys for a geological disposal facility. Calla filed three lawsuits. The reasons for it and more info in press release. Lawsuits can be downloaded from www.nechcemeuloziste.cz. June 9, 2015 - The Public Opinion Research Centre (CVVM) has published a survey in May 2015 which shows that the public does not support the preparation of new reactors in Dukovany and Temelín NPPs. Only 22 % of respondents want a larger share of nuclear energy, while only six people out of one hundred are certainly convinced of it. As compared with the last May results, the public support for the government nuclear vision has also significantly decreased by 7 %. More in the press release. June 3, 2015 - Today the government approved the National Action Plan for the Development of Nuclear Energy (NAP JE) in the Czech Republic. It is annoying that the Ministry of Industry does not pay more attention to strategies of energy efficiency and development of renewable energy sources. Genuine energy security and autonomy of the Czech Republic is difficult to imagine without the use of considerable potential for energy savings and locally available renewables. More in the press release. 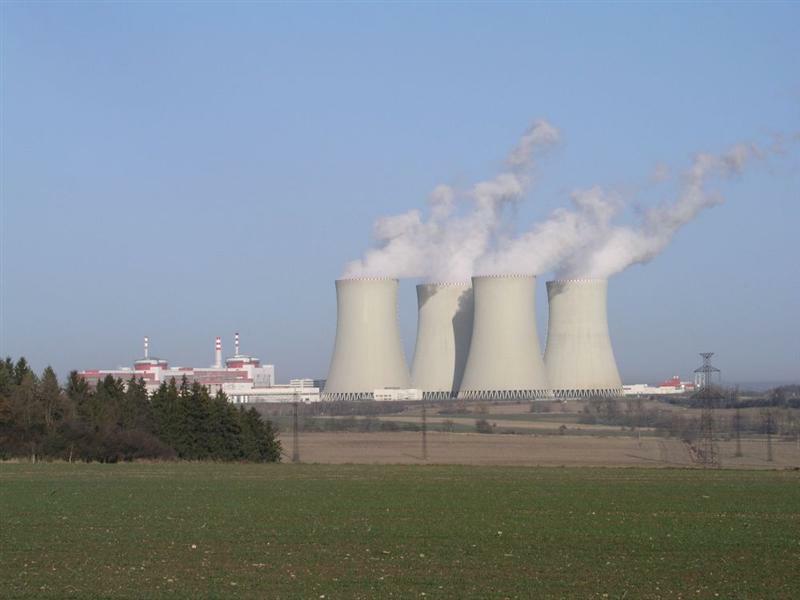 June 2, 2015 - The National Action Plan for the Development of Nuclear Energy (NAP JE) in the Czech Republic envisages the preparation of four new reactors - two in Dukovany NPP and two in Temelín NPP. A critical problem, which the government sets aside for the future, is to ensure a meaningful economic project. According to ALIES, Calla and Hnutí DUHA, this nuclear plan will draw the future government in 2025 into a nuclear trap, since the future government should make a decision on the continuation of the project and also financial support for it from public sources. Detailed remarks are in the press release. May 19, 2015 - After years of delay, the government approved the update of the State Energy Policy (ASEK) of the Czech Republic. The ASEK shows some opportunities for the Czech energy sector. However, as a whole it is badly composed - it deliberately avoids the key issue of brown coal mining limits and significantly underestimates the potential of domestic clean energy sources and energy savings. More in the press release. April 18, 2015 - The Day Against the Geological Disposal Facility. On Saturday 18th April 2015, there will be held marches, concerts and other events to mark the joint protest in all seven sites in the Czech Republic which were chosen by the Radioactive Waste Repository Authority (RAWRA/SÚRAO) because of the siting process for a geological disposal facility. By protesting, population in the affected municipalities wanted to draw attention to their fundamental disagreement that is not respected by the state. Detailed information on individual events and the topic of geological disposal is accessible via www.nechcemeuloziste.cz. More in a press release. December 12, 2014 - Ministers will decide at their Monday's meeting of the Minister Mládek's plan to initiate the approval procedure, which would enable the construction of a new uranium mine at Brzkov and Horní Věžnice deposits between the towns of Polná and Přibyslav in the Bohemian-Moravian Highlands. In case of approval of a controversial proposal DIAMO would conduct more geological surveys, extend the protected deposit area at the expense of the municipalities and try to get a zoning permit for construction. Thus, all essential should be ready and by the end of 2017, the government will take a decision on where to obtain more than 2 billion Czech crowns for the necessary investments. Mine should then start to be built in 2019, and uranium should be extracted from 2022. More in the press release. November 2, 2014- From September 24 to October 31, 2014, we offered photographs by Václav Vašků "Faces of Uranium" for the photo exhibition in the passage of Bookstore Kuba and Pařízek in Polná. The exhibition highlighted the impacts of uranium mining on the environment and health of people living in the vicinity a potentially new uranium mine in Brzkov. It was co-organized by Calla, NGO Our Future Without Uranium in Brzkov and Bookstore Kuba and Pařízek. Presentation of the exhibition - a summary of photos with captions is here. November 11, 2014 - Calla organized the seminar "Environmentally and Economically Friendly Lighting for the South Bohemian Villages" at the Regional Council of South Bohemia in České Budějovice. New technologies and proper management that will reduce costs for public lighting and save the environment were introduced here. Presentations are here. April 29, 2014 - Calla, South Bohemian Mothers and Friends of the Earth Czech Republic organized "The Economic Limits of Nuclear Energy" at the Smetana Hall of the Autoclub ČR in Prague. Speakers were: Mycle Schneider, Rudi Anschober, Stephen Thomas, Claudia Kemfert, Ivan Beneš, Michael Šnobr, Jan Ondřich, Franz Leidenmühler and Michael Nagl. For more information please visit www.nec2014.eu. November 1, 2013 - Calla prepared the seminar "The Energy Autonomic Villages - An Opportunity for the Local Economy" which took place at the Regional Council of South Bohemia in České Budějovice. Presentations are here. June 19, 2013 - Calla co-organized the international conference "Towards Energy Autonomy of Municipalities and Regions". You can get acquainted with the practical experience of mayors and other opinion leaders of regional events in Germany, Austria and the Czech Republic in these presentations. November 21, 2012 - Calla in co-operation with the Green Circle held the seminar "The Czech Republic Without Coal and Nuclear" in České Budějovice. How does the Czech energetics look like and what price do we pay for our dependence on fossil fuels and nuclear? How does the energy world around us change? Do we need additional reactors at Temelín or are there other ways? Can we do just with renewables? Presentations are here. November 9, 2012 - Calla prepared the seminar "Challenges in the Near Future: Zero-Energy Buildings" which was organized in response to the new requirements of the Czech Act on energy performance in terms of construction and energy standards for buildings and energy performance certificates. Presentations are here. March 1, 2012 -South Bohemian Mothers (JČM) and Calla organized the international conference "Stress Tests of Nuclear Power Plants – Security Checkup or Propaganda?" Presentations and other information are here. October 13, 2011 - Heinrich Böll Stiftung together with Hnutí Duha, Calla and the Green Academy in Prague organized the conference "Green Energy and Nuclear Power: Who Owns the Future?" The speakers were, for example, Mycle Schneider (the author of "World Nuclear Industry Status Report 2011"), the economist Steve Thomas of the University of Greenwich, František Hrdlička, Dean of the Faculty of Mechanical Engineering in Prague (ČVUT), consultant Petr Otčenášek, Martin Bursík (the former Minister of the Environment) and other experts. Presentations can be downloaded from here. May 31, 2011 - Calla, Hnutí Duha, Heinrich Böll Stiftung Prague and the Czech professional associations for renewable energy sources organized the seminar "Germany Without Nuclear Power Plants. And What About the Czech Republic?" At an event in the Conference Hall of the European House in Prague spoke German experts Lutz Mez of the Freie Universität Berlin and Rainer Hinrichs-Rahlwes, president of the European Renewable Energies Federation (EREF), Michal Šváb of Energy Analyses and Consulting (ENA Ltd.), an energy consultant Petr Holub and Edvard Sequens from Calla. Presentations in pdf format can be downloaded from here. March 29, 2011 - Calla and Hnutí Duha organized the seminar "Smart Energy for South Bohemia" which was held at the Regional Council of South Bohemia in České Budějovice. It introduced an alternative energy concept for the Czech Republic, the results of a study on the potential of home insulation and also focused on the issue of heat production in České Budějovice, where plans for the utilization of biomass for heat generation, a heat pipeline from Temelín or incineration of municipal waste are being introduced in addition to the existing brown coal-fired boilers. Presentations can be downloaded here. January 31, 2011 - Calla organized a series of seminars in potential localities for storage of radioactive waste. The last occurred in Pačejov (Březový potok) on 31st January 2011. The presentation "Geological Disposal Facility for Radioactive Waste and the Rights of Affected Communities" by Pavel Doucha can be downloaded here and "Security of Geological Disposal Facility and Transport of Radioactive Waste" by Dalibor Stráský, an independent consultant, is here. December 1, 2010 - Hnutí Duha, Calla and Heinrich Böll Stiftung organized the seminar "Smart Support for Clean Energy - How Should the State Improve Support For Renewable Energy?" in the Chamber of Deputies in Prague. Presentations and other information can be found here. Final summary of the seminar is here. 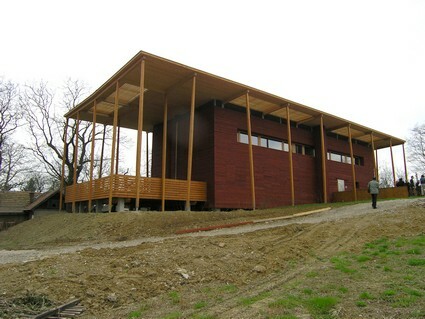 April 9, 2010 - Calla organized the seminar "Passive Houses – Housing For You" which was held in the boardroom of South Bohemian Regional Authority in České Budějovice. Top experts responded to participants' questions about these modern, efficient and healthy buildings. Presentations are here. September 30, 2009 - Calla, Veronica Ecological Institute and Heinrich Böll Stiftung organized the seminar "Global Climate Change - Facts and Fiction" which was held at the great hall of the Auditorium at the University of South Bohemia in České Budějovice. Presentations can be downloaded here. April 28, 2009- Hnutí Duha, Calla and Heinrich Böll Stiftung organized the international conference "Nuclear Renaissance in Reality - Economic and Safety Aspects of Nuclear Energy" which was held in the auditorium of the ABF Foundation on Wenceslas Square in Prague. Presentations and information are here. March 10, 2009 - Out of all renewable energy sources, wind turbines trigger probably the most negative reactions on the part of nature and landscape protection. The aim of the seminar "Wind Turbines and the Environment" with the debate of experts was to define the conditions that will allow the use of wind energy while minimizing environmental impacts. Program and presentations can be downloaded here. More in a press release. November 20, 2008- The seminar "The Context of Uranium Mining" was organized by Calla in co-operation with NGO Our Podještědí (Naše Podještědí) in Liberec. It concerned the issue of a possible recovery of uranium mining in the Czech Republic. More in the press release. Papers and the brochure can be downloaded here. March 26, 2008 - Calla participated in the Hnutí Duha's seminar "Possibilities of Energy Savings in Residential and Office Buildings in the Czech Republic", which was held in Prague. The invitation is here (pdf, 334 KB). September 27 – October 18, 2007 - Calla organized in co-operation with the towns of Písek and Tábor two seminars called "Efficient Waste Management in the Village – How To Do It?" designed for mayors and representatives of local communities mainly in Písek and Tábor areas, as well as the environmental protection officials and those interested from the NGOs who are dealing with the issue in the long term. As the uranium prices surge, the interest in uranium deposits in the unworked areas of the Liberec Region increases as well. One of the deposits is called Osečná - Kotel. Locals are strictly against new mining and have already taken many actions. More info is here. The parties which show interest in mining are the Czech state enterprise DIAMO and the Australian company Uran Limited. 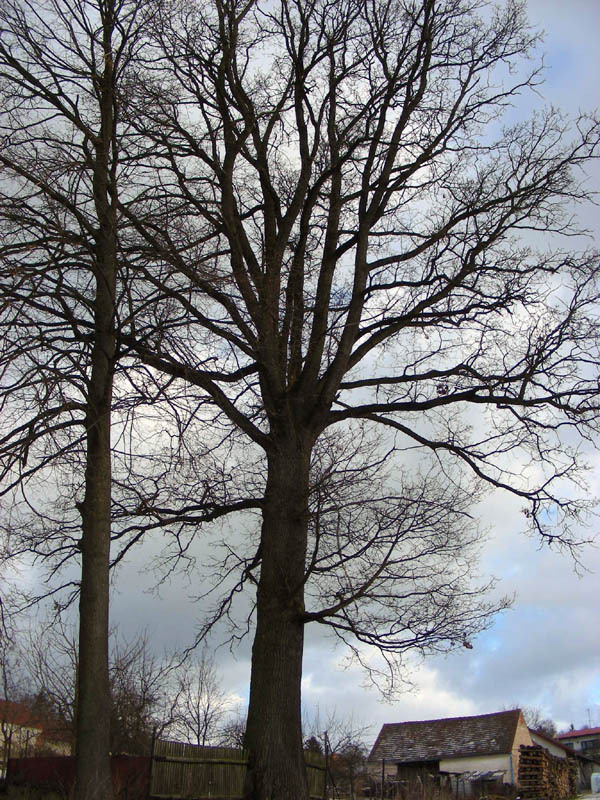 November 10, 2007 - Calla has started new Project on Climate Change in the Czech Republic. On www.zmenaklimatu.cz you can find out more about the causes and effects of global climate change. Further information is here. November 9, 2007 - Calla welcomed the dismissal of geological surveys of uranium deposits in the Highlands. Uran Limited, an Australian company, represented by the Czech company Timex Zdice, submitted a proposal to explore new uranium deposits in Polná and Jamné in the Jihlava region. The Ministry of the Environment rejected the request due to conflict with national Raw Materials Policy (1999), which stipulates the termination of uranium mining in the Czech Republic. More info is here. March 28, 2006 - Calla in co-operation with Friends of the Earth Czech Republic (Hnutí DUHA) and with support of Heinrich Böll Stiftung organized the international conference called "The Economic Aspects of Nuclear Power". More details, photos and presentations from speakers are here. 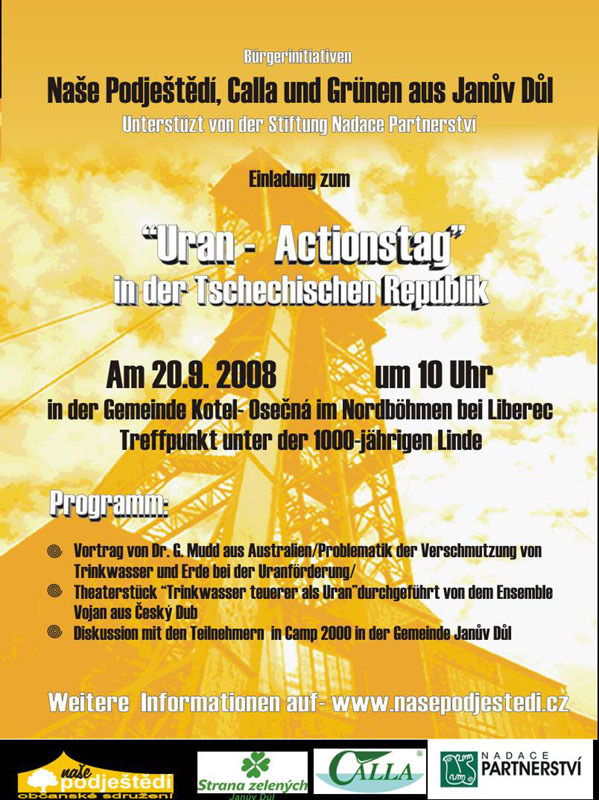 April 12, 2006 - The three Czech energy related NGOs Calla, Citizens' Initiative for Environmental Protection (OIŽP) and South Bohemian Mothers organized a press conference at which they announced three examples of poor and/or problematic safety issues at Temelín NPP, of which they were informed by a whistleblower at NPP. More info is here. November 30, 2005 - The last of the series of meetings held by mayors of the Jindřichův Hradec region took place in protest of the governmental decision to include the locality of Čihadlo as the sixth potential site for geological disposal facility. A short report can be accessed here. November 11, 2005 - The seminar called "Sun for Historic Sites - Can Historic Buildings Withstand Solar Panels?" was organized by Calla in co-operation with the League of Ecological Alternatives in České Budějovice. Some of the reports can be read here. 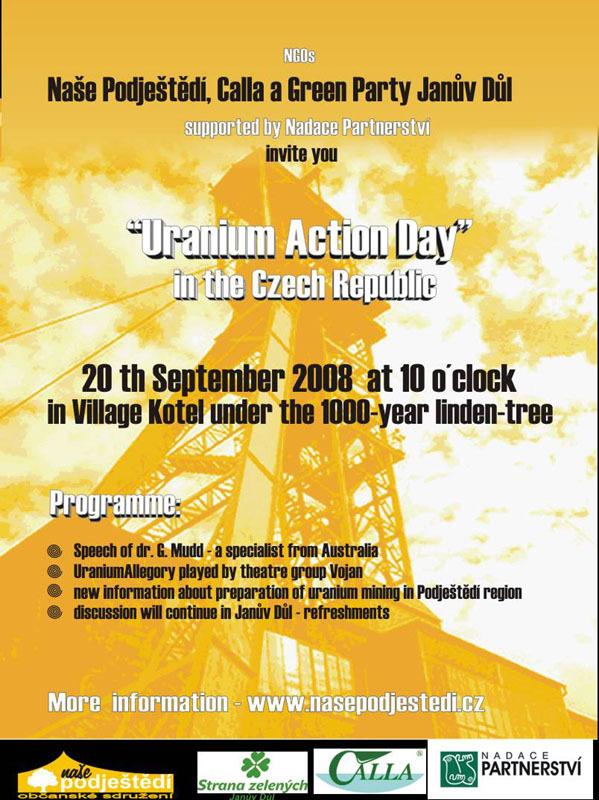 November 2, 2005 - In the middle of October 2005, the government announced in accordance with the Minister Urban's proposal that uranium mining in the last operational uranium mine in the European Union, in Dolní Rožínka near Ždár nad Sázavou, will continue at least until 2008 (but probably longer). Read more here. September 29, 2005 - The exhibition called "The Harmony, Ecology and Economics in Housing" took place at the Research Library of South Bohemia in České Budějovice in September 2005. A short report is here. July 24, 2005- The Act No. 180/2005 Coll., on the. Promotion of Use of Renewable Sources, which could start a revolution in the Czech energy sector, became valid on August 1, 2005. More info is here. February 4, 2005 - The seminar called "The Radioactive Waste Management and the Public" took place in the Plenary Session Hall of Wallenstein Palace, Senate of the Parliament of the Czech Republic. The seminar was organized by Jitka Seitlová, member of the Senate and council member of the Radioactive Waste Repository Authority (SÚRAO), with professional and organisational support of non-governmental organisations Friends of the Earth Czech Republic (Hnutí DUHA) and Calla. For further information see the press release. To download some of the contributions and view some photographs click here. November 24, 2004 - The third solar energy-orientated Czech-Austrian conference called "The SUN 2004" took place within the framework of the "AQUA-THERM" trade fair in Prague. The relevant lectures can be found here. June 23, 2003 - The seminar called "Renewable Energy Sources and the Regional Energetic Concepts" was organized by Calla in co-operation with the Ministry of the Environment. The reports presented during the seminar may be downloaded here. September 19 - 20, 2002 - The first Czech-Austrian solar conference called "The SUN 2002" took place in Brno. Its participants signed a collective memorandum.